After a brief encounter with the Austrian Dauphine Marie, young Claudette Laurent struggles to survive after a Paris fire leaves her an orphan. Everything she has ever known is gone ---her family, her father's dollmaking shop, and all the simple luxuries of life. She boards a ship for London only to discover that the conditions are far from what she ever imagined. Despite her distance from the past, both physical and and emotional, one thing remains in her heart --- the beauty of her father's work. Bit by bit, Claudette's dream to carry on the work of her father comes to fruition, so much so that the Queen of France herself takes notice. Seizing the opportunity to travel home, Claudette becomes a witness to the turmoil as France stands on the brink of revolution. THE QUEEN'S DOLLMAKER is a riveting historical fiction novel filled with adventure, friendship and passion set in a period of political upheaval as the French Revolution causes radical changes in French society. 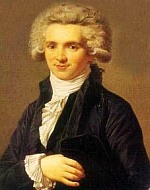 The heroine Claudette witnesses the events of Marie Antoinette's life first hand, from her entry into Paris until her death. 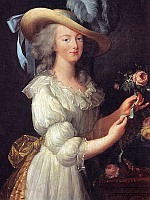 Seen through Claudette's eyes, a woman who is both an outsider and insider to the royal court in her role as dollmaker, a reader sees Marie Antoinette as the woman behind the royal image. The common view of the queen as the disdainful and detached spoiled woman pales in comparison to Christine Trent's ability to put show all those forces around the queen. Christine Trent creates a sympathetic portrait of this controversial figure by delving into historical details, retelling the story from a more personal point of view that readers witness them as if they too are standing right there. Through Claudette, the human weaknesses, the emotions and the the lesser known endeavors to curb courtly excess of Marie Antoinette come to life. Claudette's struggles to survive and make a life for herself are just as powerful as the portrait of Marie Antoinette. Claudette's memorable adventures, both heartbreaks and her successes, glue one to the pages. One hopes with her, cries with her, laughs when those who have put her down finally get their due, and recoils from the brutality of the times with her. Claudette is an admirable woman, a woman who keeps her dignity in less than noble times and situations. She is hardworking, intelligent, practical and creative. She sets high standards for herself and strives to achieve them against almost impossible odds. When opportunity presents itself, she does not hesitate to act. She does not hesitate to better herself nor does she hesitate to reach out to others. Wherever she goes, she forms friendships with others. Loyalty characterizes her friendships, friends made in the most dire circumstances with little hope for gain or a kind of friendship with the queen herself. Romance plays a pivotal role in Claudette's life, sometimes a dangerous one, as she struggles to choose between two men and as those men align themselves to the politics of the time. 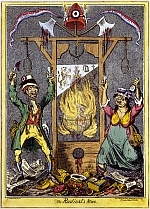 THE QUEEN'S DOLLMAKER brings the French Revolution alive in ways even history and movies have not through the author's portrayal of minute details. Despite knowing the history and the events that will occur as the timeline counts down, this reader was so caught up in the story that I found myself hoping against all odds for a different ending. I simply grew to love the characters, even those historical figures for whom I might not otherwise feel much empathy. Christine Trent tells a powerful story that puts the reader right there in the moment! In THE QUEEN'S DOLLMAKER, Christine Trent integrates historical research into the very fabric of her tale without ever sacrificing the fictional pleasure of the novel as a form. In-depth characterization, a tight captivating plot, and emotional insight maximized by narrative technique all make this book very hard to put down. Excellent!